All tooling for single die station, progressive and transfer pressing is designed, built and maintained in-house for faster delivery, proven quality and overall cost reduction. Solidworks design service and an extensive tooling library also speed timelines and lower overall costs. 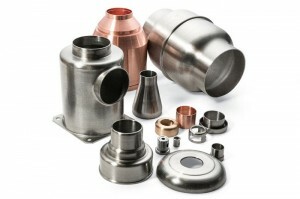 We have supplied precision deep drawn components to a wide range of OEM applications including electronics, electro-optics, aircraft.